This shirt will create a zombie that looks like it has undergone an open chest surgery. 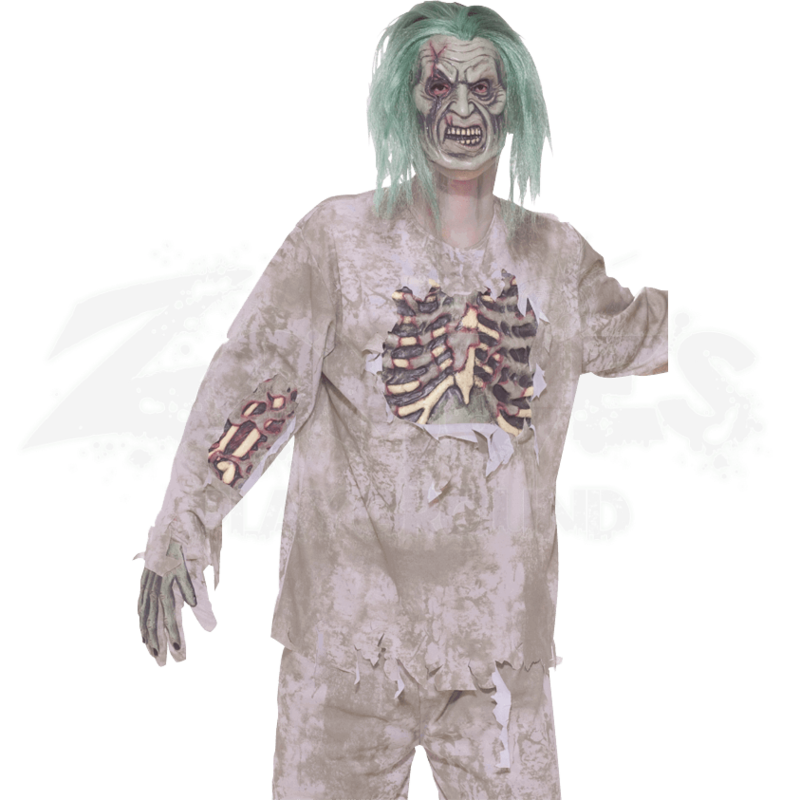 With its dirty, tattered appearance, the Zombie Shirt With Chest Wound has an open and decaying chest cavity that only a zombie could survive. Do not expect large chunks of flesh and a fully ventilated torso to slow this zombie down, though. This shirt might have been white, once, but after years of being worn by the undead, it is now an off-white color that is tattered at the edges and stained across its surface. 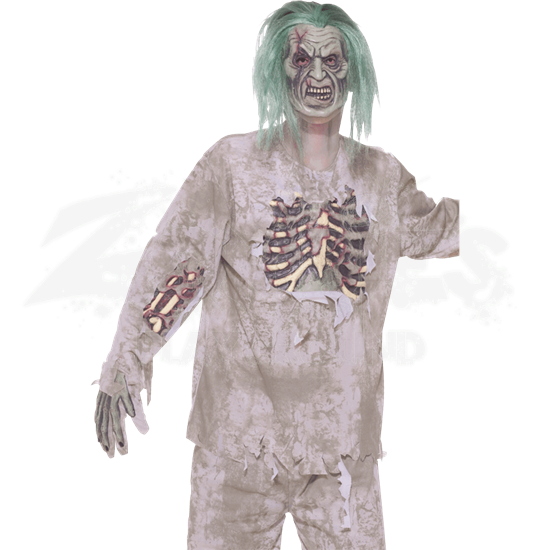 The chest of the shirt is torn open, revealing an attached decoration that depicts the chest of the zombie beneath, rotted and withering away, leaving only white bones and gray, decaying strands of flesh. There is not even enough blood left to stain the shirt or the skin. The zombies arm has a matching wound, with the sleeve torn open to reveal the arm as it rots away, leaving only muscle and bone behind. This item includes only the shirt. No gloves, mask, or pants are included. It comes in a standard size which fits up to a 42 inch chest. If you really want a simple yet visceral zombie look that lacks blood but makes up for it with decay, than this Zombie Shirt With Chest Wound is perhaps the best place to start when putting your look together.